Home > I Blog > Coaching > Coaching a big company - Fare coaching in una grande azienda. Coaching a big company - Fare coaching in una grande azienda. What is your definition of coach? The coach is a person who interact with another one empowering her or him to access to their natural resources and their creativity. It’s a process made with that person to let him discover and gain self-awareness. Many clients come looking for advices about a particular situation and they want to know your point of view as a professional. My approach with them start asking the individual ‘what are your values’ , ‘what is your essence’ and ‘what is important for you in life’. It’s from there that they realize what really want to do or what they really don’t want to do. We can say that coaching is a 2 parts process: first really discovering the client, what is supposed to be his role in this world, and from there creating actions from what we discovered as really important for them and not from what they, apparently, want to do. How do you organize a coaching program? When I develop a coaching program for private clients I plan a number of 6, 8 or whatever coaching sessions he or she needs. In these one-by-one coaching sessions we go deeply in the connections and in the relationships to develop their capability towards their aims. When I coach some other group started from 2, a couple, or an entire team, I don’t coach each person individually, I coach their relationships, and it’s a total different system or methodology. Equally as the individual coaching I don’t advice or instruct, I only operate on their behaves in relationships. I use some dynamics to bring to light what is already there, and so I can change them. You work in DHL, a very big company, on a ‘transformation and motivation program’ called CSCS (Certified Supply Chain Specialist). What is the aim? It’s a worldwide DHL program. The main objective of this program is to create awareness within all our employees about the importance of their contribution in their role and their job in the company. The same program if for everyone in company, at any level. The concept is that you have an important role for millions and millions people in the world delivering the boxes they are waiting with their desires inside. It happened that employees had lost the spirit of their job, so this program empower them. This is the basic model we started and that we evolved now in the leadership program involving managers. We have another model for warehousing and another one for transportation. The Coaching model I follow is The Co-Active model. It moves between self-awareness and courageous action to create an environment where individuals can deeply fulfilled, connected to others and successful in what matters most. Based on this model I consider the coachee as naturally creative, resourceful and whole, and completely capable of finding their own answers to whatever challenge they face. The job of a Co-Active Coach® is to ask powerful questions, listen and empower to elicit the skills and creativity a client already possesses, rather then instruct or advise. Which tool do you use to measure the results of the program? We have an employee engagement survey and, after a year, a certificate regarding the person that is called ‘Supply Chain Specialist’ and that certificate the participation and the results of the program. All our employees are certifed as the best specialist in the supply chain industry in the market, which is something really innovative. We can say that, after the program, the satisfaction level of working in DHL increased by 30 to 40%. So employees are happier. But does this affect the job results? Yes, the result is not only about the satisfaction, because when the person is emotional engaged with company the productivity increases. Coaching people is becoming normal in the big companies and this attitude is arriving to small companies too. Do you think that the concept to be coached will arrive extensively to people in their private lives? When I coach I focus on the person most of the time, of course there are objectives connected to the role, but the attention to the person comes first. I try to drive the individual to delivery those objectives to all his o her real life and I can say that most of what I ‘facilitate’ to them they bring home. Almost always they are inspired to share these new attitudes with their partners and with their children. We can say that they live this in their private life as well. We live in a society where everybody has a very big ego, and usually big ego doesn’t like transformation. How can this happen in your coaching activity? This is true, but it is also true that we live, not only in the business, with a performance attitude. In our performance-rewarding environment, it's easy to lose sight of the value of real connection, self-awareness, listening-deeply - which are the qualities that inspire what we do and give our lives fulfilling meaning. Nowadays people feel that it’s not everything connected with money and performance, and when they come for an interview they want to know the company value and what is their real contribution. Today everyone wants to be committed in what he does, and coaching has a lot to do with that. What you describe sounds very close to the psychology approach. Yes it is, with the big difference that psychology is usually related to the idea that you have a pathology, that there is something to fix, but we don’t have patients, we have clients, there’s nothing to fix, we don’t give advices, we just open an access for them towards where they already want to go. My method is based on using the body, working with metaphors, with ideas, with colors, with paintings… all things that move the mind to exploration. Fare coaching in una grande azienda. Qual è la tua definizione di coach? Il coach è una persona che interagisce con un’altra rafforzandola per farla accedere alle sue risorse naturali ed alla sua creatività. E’ un processo attivato con quella persona per consentirgli di scoprire ed aumentare la consapevolezza di sé. Molti clienti approcciano al coaching cercando consigli riguardo una particolare situazione dato che vogliono conoscere il tuo punto di vista come professionista. Il mio approccio con loro inizia chiedendo alla persona ‘quali sono i tuoi valori’, ‘qual è la tua essenza’ e ‘cosa è importante per te nella vita’. E’ da qui che realizzano cosa realmente desiderino fare o cosa realmente non desiderino fare. Possiamo dire che il coaching è un processo in due parti: nella prima si scopre il cliente, quali si suppone sia il suo ruolo nel mondo, e da lì si creano azioni da ciò che abbiamo scoperto essere veramente importante per loro, e non da quello che desiderano solo apparentemente. Come organizzi un programma di coaching? Quando sviluppo un programma di coaching per clienti privati pianifico un numero di sessioni pari a 6, 8 o quante ne siano necessarie a lui o a lei. In queste sessioni di coaching 1 a 1 scendiamo in profondità nelle connessioni e nelle relazioni per sviluppare la capacità di andare verso gli obiettivi. Quando invece opero come coach di un gruppo che può partire da 2, come una coppia, o essere un intero team, non intervengo su ogni persona individualmente, ma sulle loro relazioni, con un sistema e una metodologia totalmente differenti. Come nel coach individuale anche in questo caso non consiglio né istruisco ma mi limito ad intervenire nei loro comportamenti relazionali. Utilizzo alcune dinamiche per portare alla luce ciò che è già lì, e così posso cambiarli. Lavori presso DHL, un’azienda veramente grande, su un ‘programma di trasformazione e motivazione’ che si chiama CSCS (Certified Supply Chain Specialist). Qual è l’obiettivo? E’ un programma mondiale di DHL. L’obiettivo principale del programma è di creare consapevolezza in tutti i nostri dipendenti sull’importanza del loro contributo nel loro ruolo e nel loro lavoro nella società. Il programma è lo stesso per tutti nella società, ad ogni livello. Il concetto è che hai un ruolo importante per milioni e milioni di persone in tutto il mondo trasportando le scatole che attendono con i loro desideri all’interno. E’ accaduto che alcuni impiegati perdessero lo spirito del loro lavoro, così il programma li ha rinforzati. Questo è il modello iniziale da cui siamo partiti e che si è evoluto adesso nel programma di leadership che coinvolge i manager. Abbiamo un altro modello per lo stoccaggio ed un altro per il trasporto. Il modello di Coaching che seguo si chiama 'The Co-Active model'. Parte dall'autoconsapevolezza e da azioni di valore per creare un ambiente laddove gli individui possano essere profondamente appagati, connessi agli altri e con successo in quello che conta. Basandomi su questo modello considero il coachee come naturalmente creativo, pieno di risorse e di ogni cosa, e quindi completamente capace di trovare da sè le risposte a qualunque sfida si stia affacciando. Il lavoro di un Co-Active Coach® è di fare domande potenti, ascoltare e rafforzare quello che stimola le capacità e la creatività che un cliente già possiede, piuttosto che istruire o consigliare. Che strumento utilizzate per misurare i risultati del programma? All our employees are certifed as the best specialist in the supply chain industry in the market, which is something really innovative. Abbiamo un sondaggio relativo al senso coinvolgimento dei dipendenti e, dopo un anno, viene redatto un certificato di ‘Supply Chain Specialist’ che attesta la partecipazione ed i risultati del programma. Tutti i nostri dipendenti sono certificati come i migliori specialisti sul mercato nell'industria del 'supply chain' ('catena dei fornitori'), che è qualcosa di molto innovativo. Possiamo dire che, dopo il programma, il livello di soddisfazione nel lavorare a DHL è aumentato tra il 30 ed il 40%. Quindi i dipendenti sono più felici. 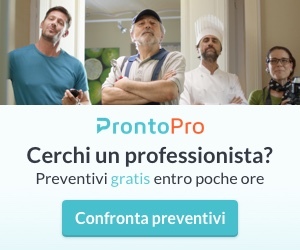 Ma questo ha conseguenze sui risultati del lavoro? 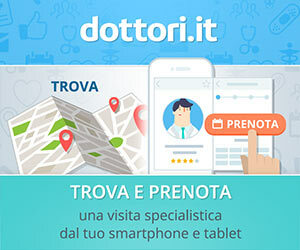 Si, il risultato non riguarda solo la soddisfazione, dato che quando la persona è emotivamente coinvolta con la società la produttività aumenta. Effettuare sessioni di coaching sta diventando normale nelle grandi aziende e questa attitudine sta arrivando anche presso le piccole imprese. Ritieni che il concetto di ricevere il coaching arriverà estensivamente alle persone anche nelle loro vite private? Come coach mi concentro perlopiù sulla persona, certamente ci sono obiettivi connessi al ruolo, ma l’attenzione sulla persona viene prima. Provo a guidare l’individuo a trasportare questi obiettivi verso tutta la vita reale di lui o di lei e posso dire che la maggior parte di ciò che io gli ‘facilito’ loro lo portano a casa. Quasi sempre sono ispirati a condividere queste nuove attitudini coi loro partner e coi loro figli. 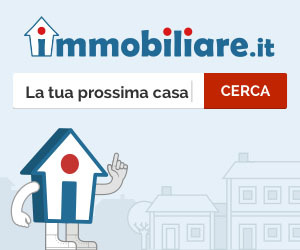 In definitiva possiamo dire che vivono queste esperienze anche nella vita privata. Viviamo in una società in cui tutti hanno un grande ego, e in genere ad un grande ego non piace la trasformazione. Come può avvenire questo nella tua attività come coach? Effettivamente è vero, ma è vero anche che, non solo nel business, oggi viviamo con un’attitudine alla performance. Nel nostro modello ambientale di performance-premiata, è facile perdere di vista il valore delle connessioni reali, l'auto-consapevolezza, l'ascolto attento - che sono le qualità che ispirano quello che facciamo e che alle nostre vite pieno significato. Infatti la gente percepisce che non tutto è connesso ai soldi e alla performance, e quando vengono per un’intervista vogliono sapere quali sono i valori dell’azienda e quale sarà il loro reale apporto. Oggi tutti vogliono essere impegnati in quello che fanno, e il coaching ha molto a che vedere con questo. Quello che descrivi suona molto vicino ad un approccio psicologico. Si lo è, con la grande differenze che la psicologia è generalmente connessa all’idea che esista una patologia, qualcosa da mettere a posto, ma noi non abbiamo pazienti, abbiamo clienti, non c’è niente da mettere a posto, noi non diamo consigli, semplicemente noi gli apriamo un accesso verso laddove loro vogliono già andare. Il mio metodo è basato sull’usare il corpo, lavorare con le metafore, con le idee, con i colori, con i disegni… tutte cose che muovono la mente verso l’esplorazione.